OVERVIEW: This device has found its way into many of Eddie Van Halen's recordings, adding a shimmery velocity to lead passages or a more dramatic swoosh to muted strumming. Not just for guitars; it works well with bass, keyboards and even vocals. Vary the speed from a subtle, long cycle to a fast, watery warble...and myriad vintage vibrations in between. Bundle includes MXR 10ft Instrument Cable. Not just for guitars; it works well with bass, keyboards and even vocals. Vary the speed from a subtle, long cycle to a fast, watery warble...and myriad vintage vibrations in between. 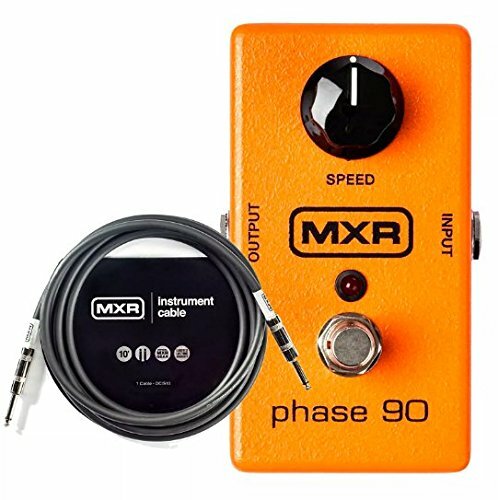 Bundle includes MXR 10ft Instrument Cable.